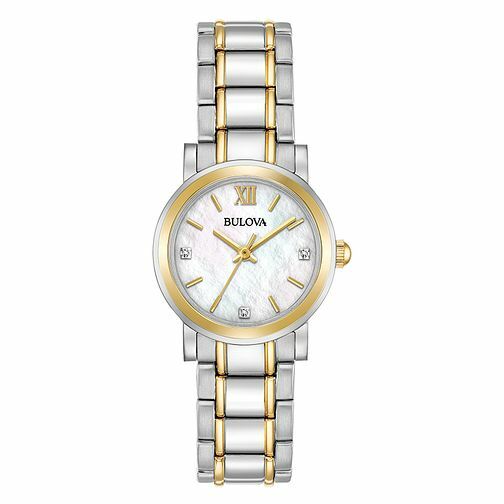 A simply sophisticated ladies' stainless steel and gold-plated bracelet watch by Bulova. Styled with a shimmering mother of pearl dial set with glittering markers and gold tone hands. Bulova has delivered beauty, quality and innovation since 1875.